A delayed CBet is a very powerful weapon to have in your poker arsenal no matter what stakes you are playing. And the reason why is because it balances your betting and bluffing ranges and makes you a more difficult poker player to read and play against. But many people who are just starting out in the game don't know exactly what a delayed continuation bet even is or how to use it. 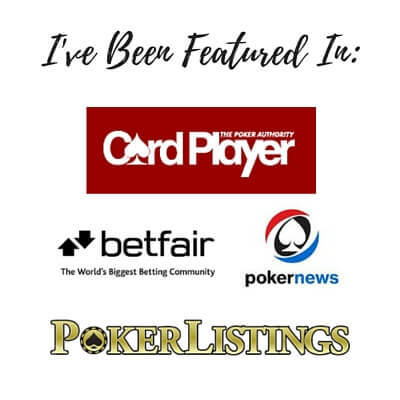 So in this article I am going to break it down for you and give you the exact spots where you should be making a delayed CBet. You will also learn why it is so effective which is just as important. A continuation bet in poker (CBet) is when you raise before the flop and then continue the aggression with another bet on the flop. 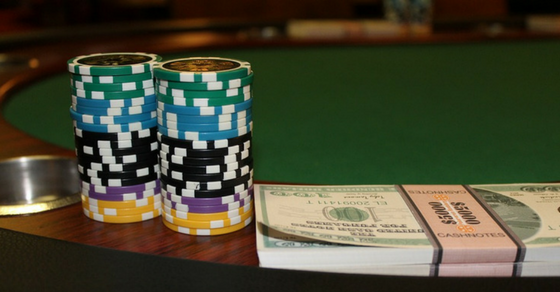 This is a highly effective 1-2 punch in poker because it makes a lot of people fold. It is especially effective against all of the weak/tight nits who you will find at the micros (1c/2c to 25c/50c online and 1/2 to 5/10 live). So when you make a delayed CBet in poker, it just means that you choose to make the continuation bet on either the turn or the river instead. 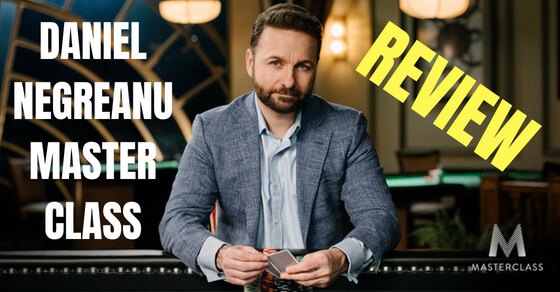 As I discuss all the time on this blog and in my books, at the lower stakes you should be playing an exploitative style of poker in order to have maximum success. And what this means in plain English is that you should be capitalizing on the large glaring errors that most of your opponents will be making at these limits. So this is why I often talk about why you should just go ahead and bet your strong hands a large amount of the time and avoid any slow-play. And on the flip side, you shouldn't run complex multi-street bluffs very often either. 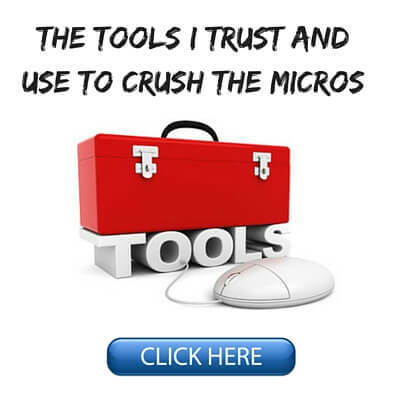 In other words, just keep things as simple as possible at the micros and you will profit more. But what about all of those middle of the road spots where you kinda have something decent but not great? This is where a lot of small stakes poker players in particular get themselves in trouble. These are hands which have plenty of value and are often the best hand right now as well. However, they are also the type of hands where if you get raised, you are often going to be behind. And that is exactly how a lot of inexperienced players end up getting themselves in tons of trouble again and again by getting involved in bloated pots where they don't know what to do. The delayed CBet is how you fix this. Weak top pairs (bad kicker) and middle pair are excellent hands to consider using a delayed CBet with. This is because they are good but not great hands. This means that there often isn't a huge amount of upside to betting them, and if you do get action it can end up putting you in some really nasty spots later on in the hand. 3. If you happen to be behind right now, you give yourself a chance to catch a lucky card on a later street and make the best hand. The next time you have one of these middle of the road types of hands considering checking back on the flop instead of just betting out every time. Because this is one of those classic cases where there isn't a ton of value to be gained by betting (they aren't calling with worse very often). And if you do get action, it is often because you are behind to a better pair or they have a strong draw with plenty of equity. Another spot where a delayed CBet is highly effective at the micros is when you have a weak draw or you missed the flop completely but still have two strong overs. And the reason why is for a lot of the same reasons that we just discussed. These hands have some reasonable value but we aren't going to get called on the flop by worse hands very often. Also when we do get action it is usually because we are behind. So if I flop a gutshot straight draw for instance with a couple of over cards, this is a great spot for a delayed CBet. Not only do I disguise the strength of my hand on the flop which has plenty of outs (4 to the gutter and 6 for the overcards = 10 outs), but I can still try and take it down with a bet on the turn or river. I also give myself a chance to realize my equity by hitting one of my outs on those later streets. Now before I say anything else it is important that I point out that you should never do one particular action 100% of the time in poker. This is because it makes you easy to read and highly exploitable. So you want to go ahead and sometimes just make a CBet with your weak top pairs, middle pairs, weak draws and missed overs as well. This is the "standard play" for a reason after all. But a decent amount of the time at the micros, you should also consider using a delayed CBet in these marginal situations. This is an excellent spot to use a delayed CBet. We caught a reasonable flop for our hand - gutshot straight draw to the nuts, backdoor nut flush draw and we still have two big cards that could pair up later on too. A lot of people would opt for a standard continuation bet in this spot. And as I said before, there is nothing wrong with that. You absolutely should just go ahead and make the standard CBet here plenty of the time. But if you can start mixing in some delayed CBets here it makes you a lot more difficult to play against because they can't put you on a hand quite as easily. It also gives you all the benefits of pot control, deception value and the ability to realize your equity later on in the hand that we discussed before. Once again, we have an excellent candidate for a delayed CBet in this hand. While we flopped top pair we don't have much of a kicker to go with it. It is pretty unlikely that a tight player like this is ever going to have a worse top pair to call us with. Also, by checking the flop we create some of that deception value that I discuss a lot in my books. This means that a nitty player like this will often become more willing to call us on the turn and/or river with hands like 99, 88, 77 and 66. This is because in his mind top pair should always bet the flop. But since we checked the flop, then he will be much more inclined to think that we are bluffing. Now again, I want to be clear that you should absolutely just go ahead and make the standard CBet here plenty of the time as well. But this is another one of those spots where mixing in some delayed CBets can be highly effective as well. This is another spot where I think it is a great idea to frequently mix in a delayed CBet. This is the old middle pair versus a recreational player type of spot. The thing about playing against the fish is that they can have nearly anything. Therefore, there is almost no point in even bothering to put them on a range of hands. They don't play the game according to logic or mathematics or even common sense like we do. 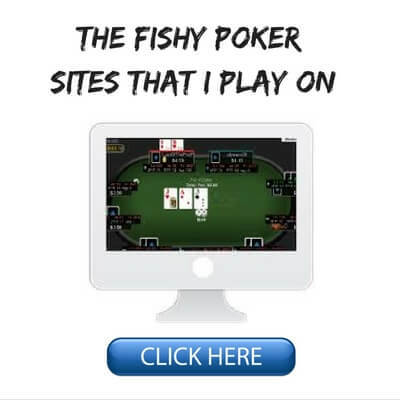 This is why it is often so easy to spot the fish at the poker tables. So versus our opponent's "anything range" here our middle pair with a good kicker is likely to be the best hand. But does this mean that we need to bet it every single time? By mixing in a few check/backs here we create some deception value versus a bad player and allow him to make some terrible call-downs on later streets with his worse pairs or bad draws. We also give ourselves a chance to get lucky and hit trips or two pair on the occasions when he does happen to have the ace and we are behind. Once again, it is perfectly fine to go ahead and make the standard CBet here. But there are many benefits to learning how to check back here frequently as well. Delayed CBetting is a powerful tool to start mixing into your game no matter what limits you play. But I think it is especially important for beginners and people playing at the micro stakes to learn and understand it. 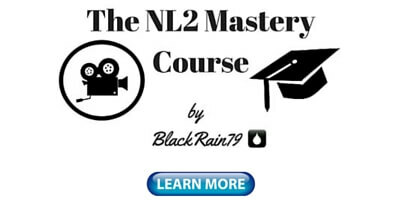 If you are currently having trouble beating the lower stakes, then this is a great way to start avoiding some of those marginal situations where you are probably losing money right now. This is because using a delayed CBet more often will immediately keep you out of all those ridiculous spots where you are facing a large bet on the river in a bloated pot with a mediocre hand. It is also a great way to start learning how to balance your play a bit more and become a more difficult player to play against. 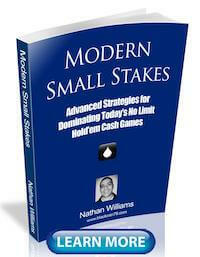 This is something that you will need to know how to do more and more as you move up to higher stakes games. Let me know your thoughts in the comments below on continuation bets. Do you use the delayed CBets at the micros very often? 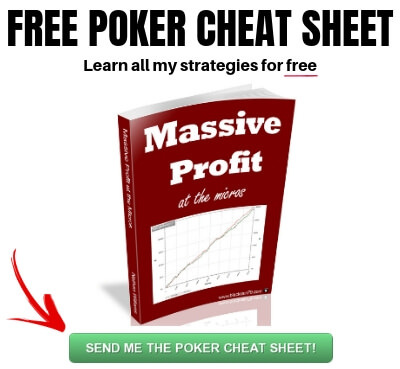 And lastly, make sure you grab a copy of my free poker ebook to learn the complete strategy I used to crush the micros for some of the highest winrates ever recorded. 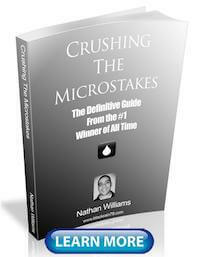 Great read Nathan, what do you do though when somebody then leads the turn against you though? As a second question... do you think the fishyness of 888 is still worth it considering the reward system there now is pretty much useless? That depends on the turn card and the opponent but often I will flat or bluff/raise on occasion. Rewards systems vary per site and are always changing. I play at 888 because the games are good. Hi Nathan, as always, really good content. One thing I saw that was lacking and an important aspect to consider in my opinion, is that checking back the flop is very often followed by a lead by the villain as they assume you have nothing. That is of course great when you check back for deception but leave you very unsure where you stand with hands such as those you use as examples in your article. Still, the check-back does control the pot size but fish villains see the check as a green light to lead the turn and the river. Your thoughts on this aspect would be greatly appreciated. Also, you don't appear to discuss pots where you are out of position, how do you apply a delayed C-bet strategy in those circumstances? If they lead the turn I will often call wide because I know they are betting wide. On occasion I might even bluff raise. There are tons of ways to outplay them with position. You can use the delay CBet when out of position as well. I will often check/call the flop in these spots if they bet. Is Hand 2 really a good spot to check back? The Big Blind can have plenty of overcard combos such as AJ, KJ, QJ and KQ. These are 64 combos. If he is really nitty, he might have AQ or even AK. These combos all have 6 outs and would all be given a free card. 99, 88, 77 and 66, by contrast, are only 21 combos. Even if the Big Blind is a nit, I would assume that he will call at least once on a 5T5 board if he has any of those pairs, given that it is one of the best boards for these pocket pairs. These pairs will not flop sets or overpairs very often, so it is a pretty good board for them. In addition, if the turn is a high card like an ace or a king, the Big Blind might be less likely to call a turn bet, assuming that you checked back a hand like Ax or Kx on the flop. So I don't really think this is a very good flop for a delayed Cbet.